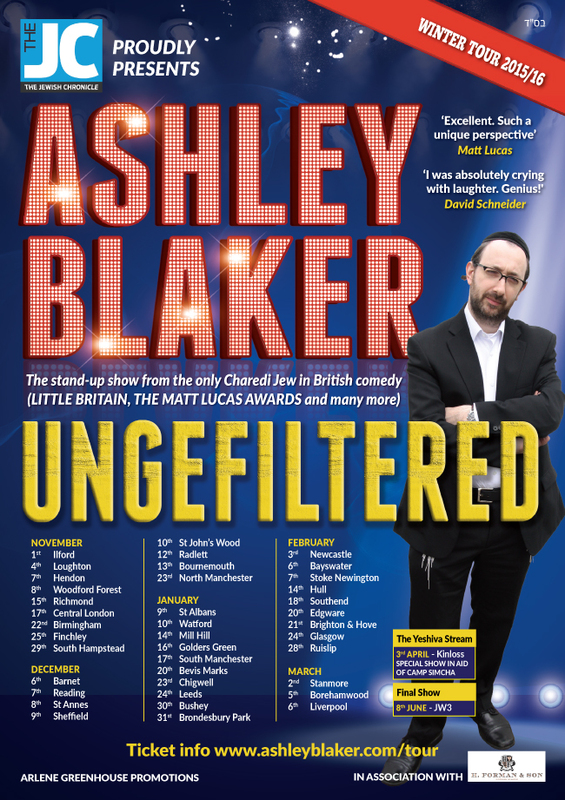 Ashley Blaker isn’t your average Orthodox Jewish man: he is also an internationally acclaimed comedian, seen and heard on the BBC and on TV and radio across the world. 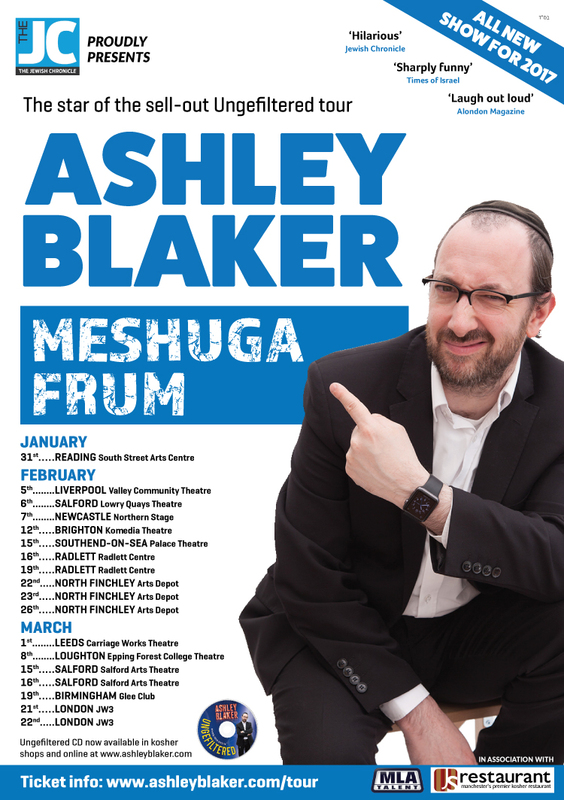 He has performed on five continents including tours of the UK, USA, Canada, South Africa, Israel and Australia. He recently completed a five week run Off-Broadway which the New York Times called ‘a slickly funny stand-up show’. 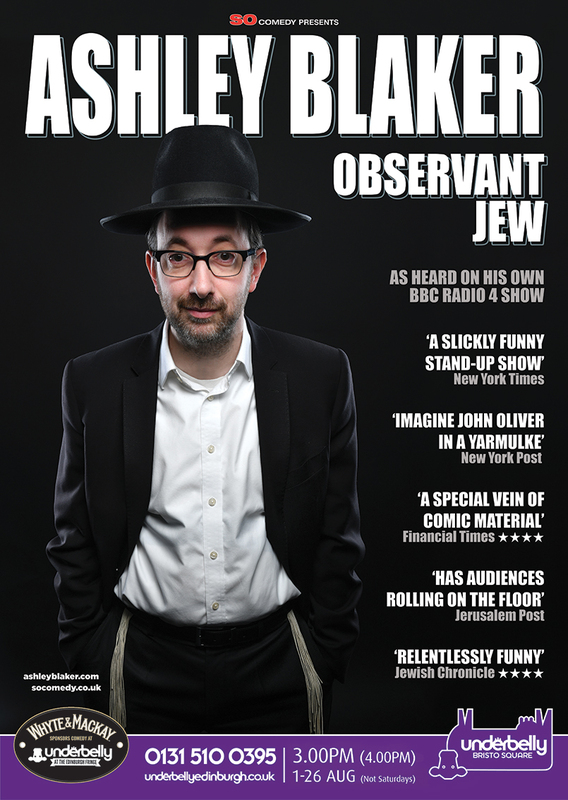 In August 2018, Ashley also made his debut at the Edinburgh Festival Fringe with a sold-out run of his show ‘Observant Jew’. 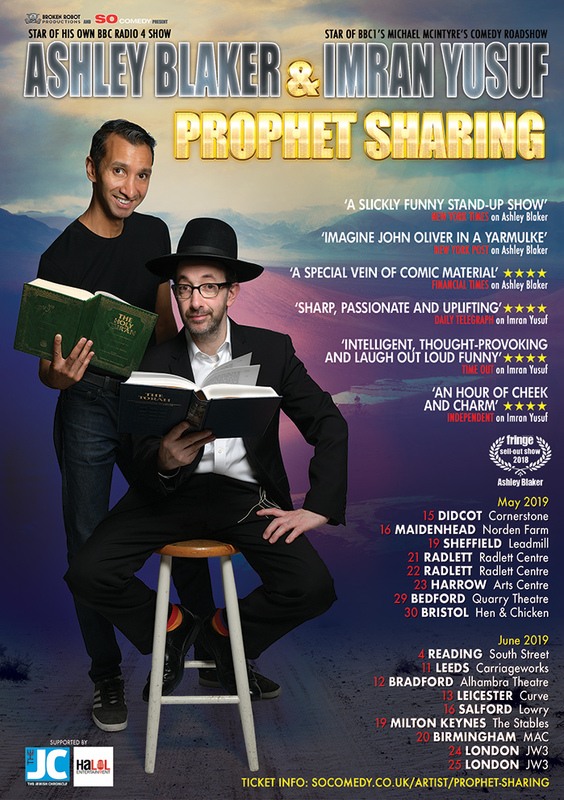 He is the first Orthodox Jewish comedian to be given his own BBC show – ‘Ashley Blaker’s Goyish Guide To Judaism’ – which has been recommissioned and will return in 2019. 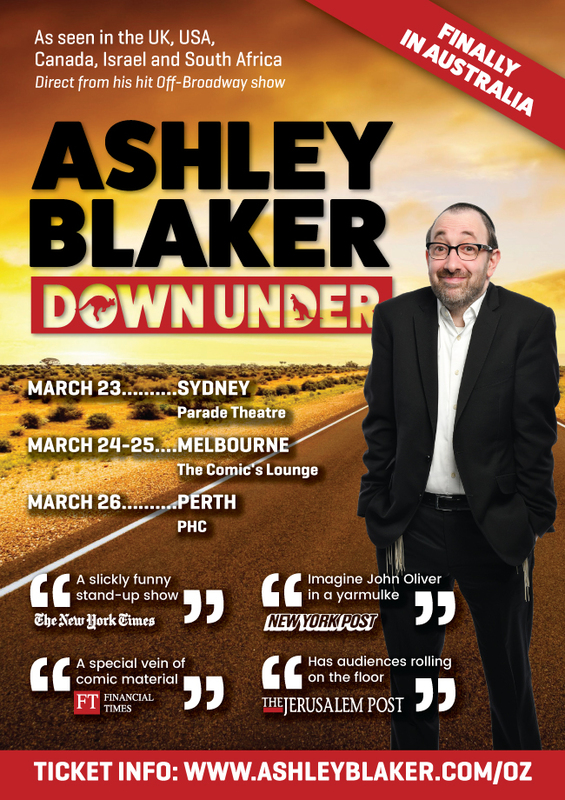 In his spare time, Ashley is an award-winning comedy writer and producer for TV and radio. While at the BBC, he was responsible for first unleashing the comedy phenomenon ‘Little Britain’ and he has worked with a who’s who of TV comedy. His company Black Hat Productions is currently making several new series for BBC Radio 4. In the past year, Ashley has been featured on PBS News Hour, CBS, Fox News, in the New York Times, New York Post, Financial Times, Jerusalem Post, Süddeutsche Zeitung and in Jewish newspapers all over the world. If he has any time after that, then it’s spent being run ragged by his six children and three cats. Copyright © 2015 Ashley Blaker. Website produced by 21st Century New Media Ltd.